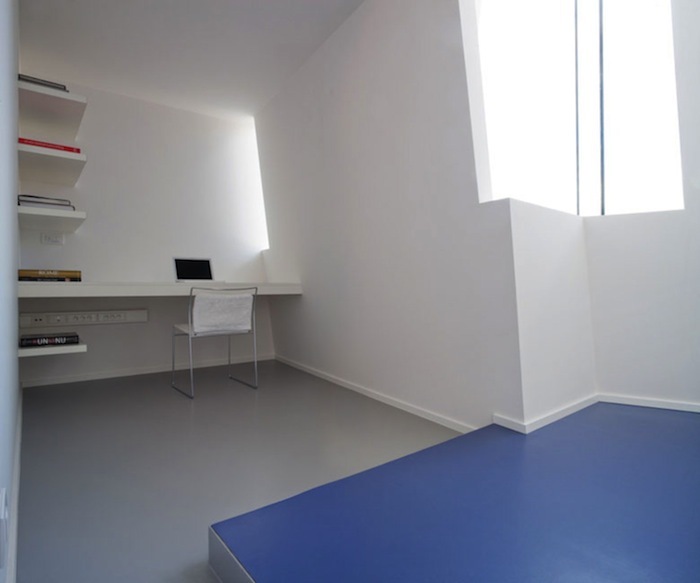 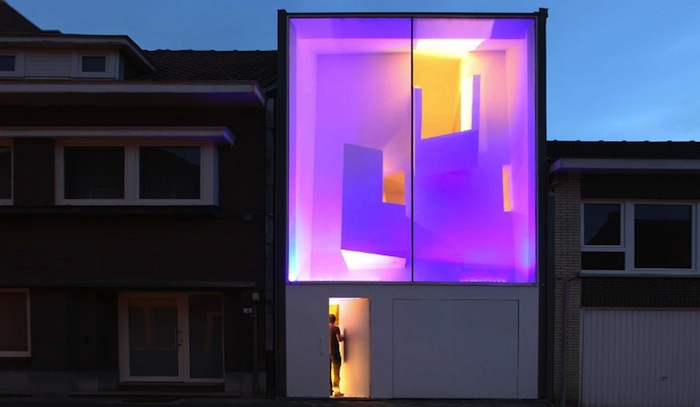 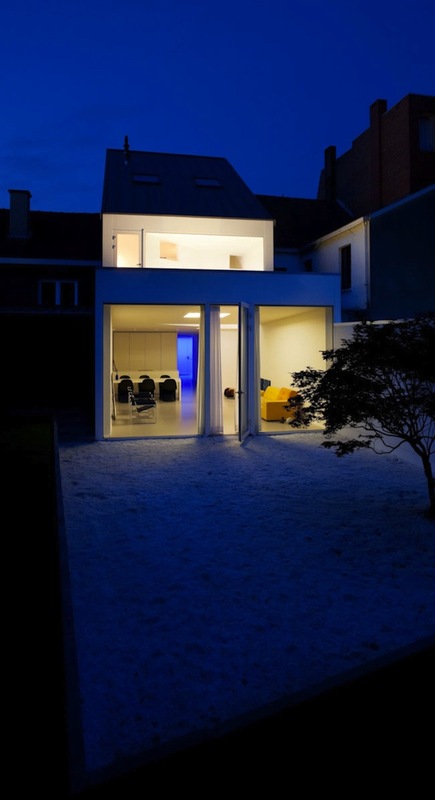 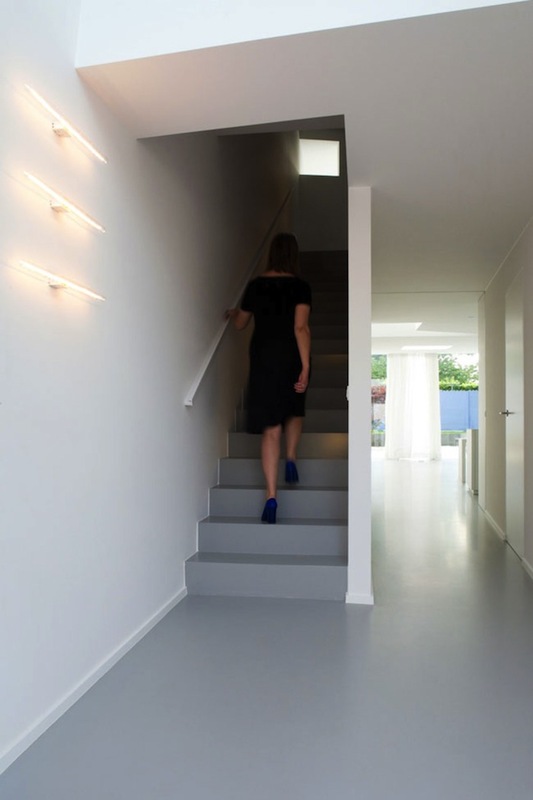 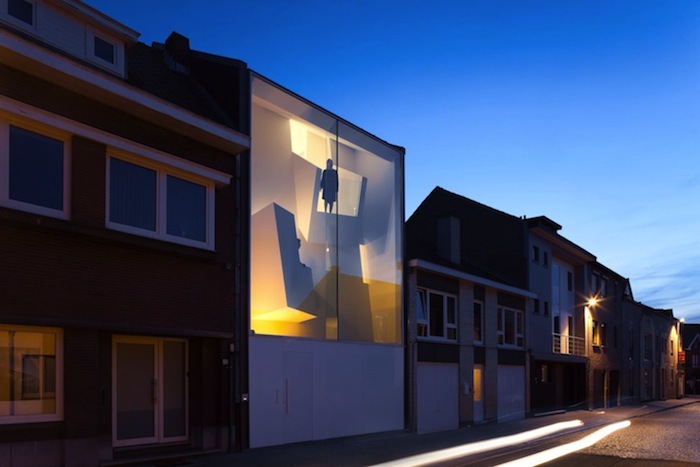 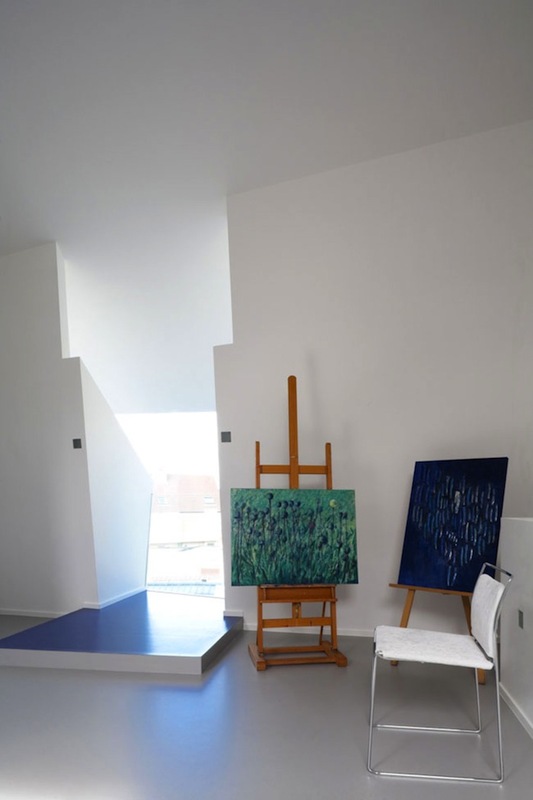 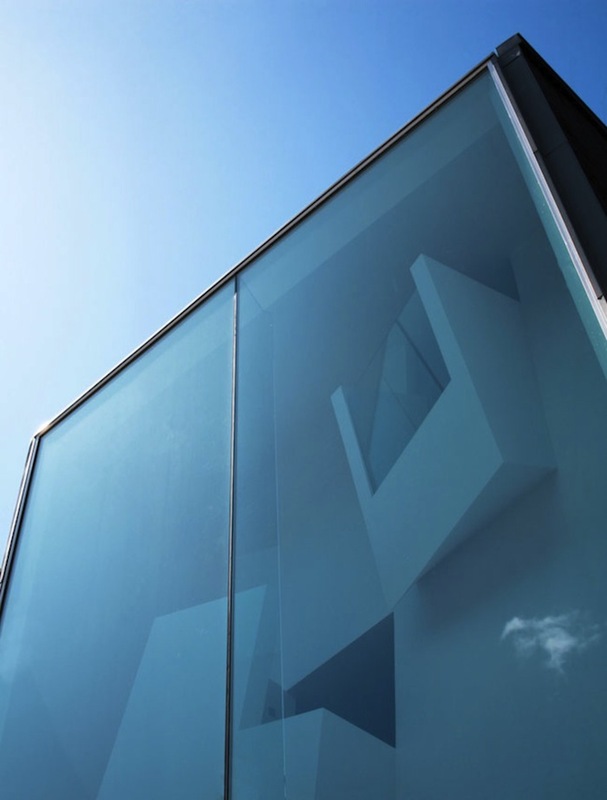 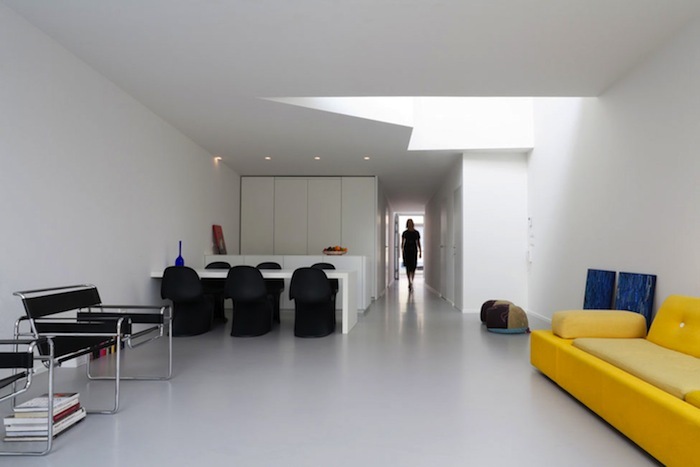 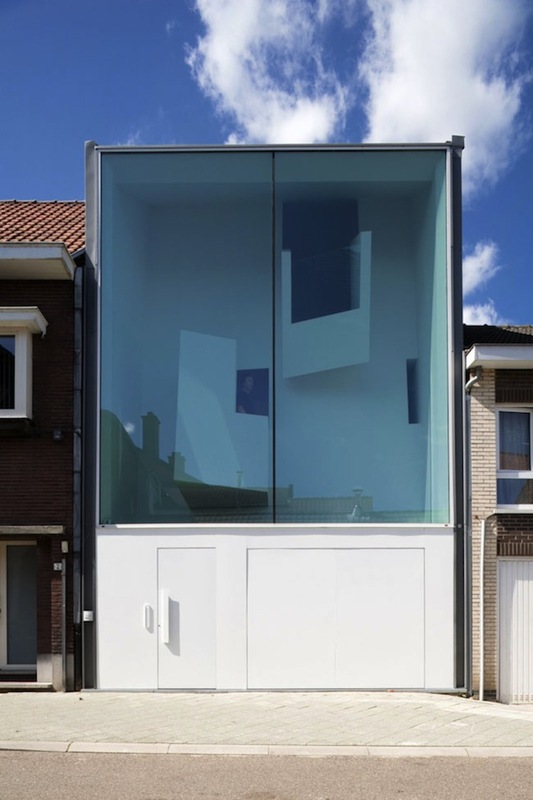 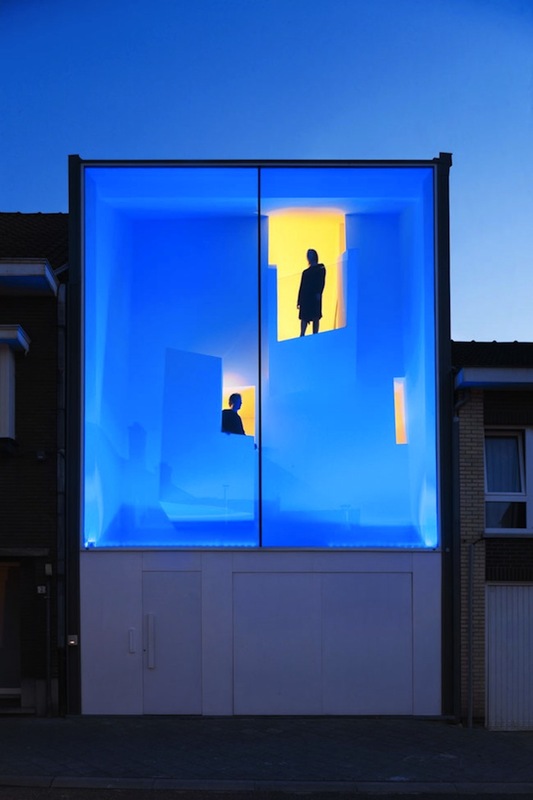 The ‘Narrow House’ is a minimal three-story residence with a unique facade located in Bilzen, Belgium. 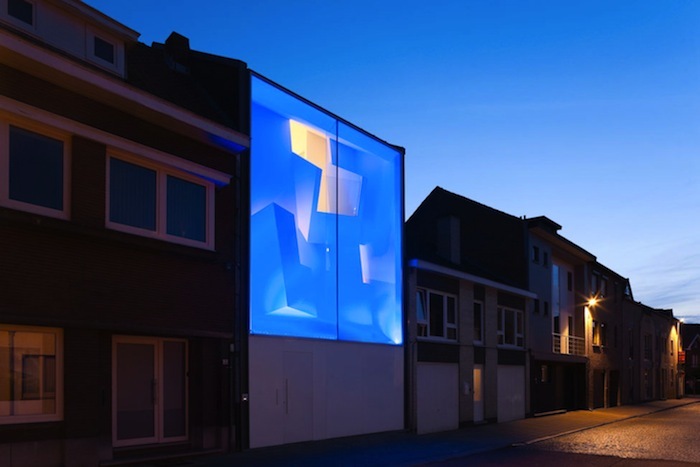 The modern street facade, which features two interior balconies in skewed shapes, is lit up in different colors resembling a light sculpture. 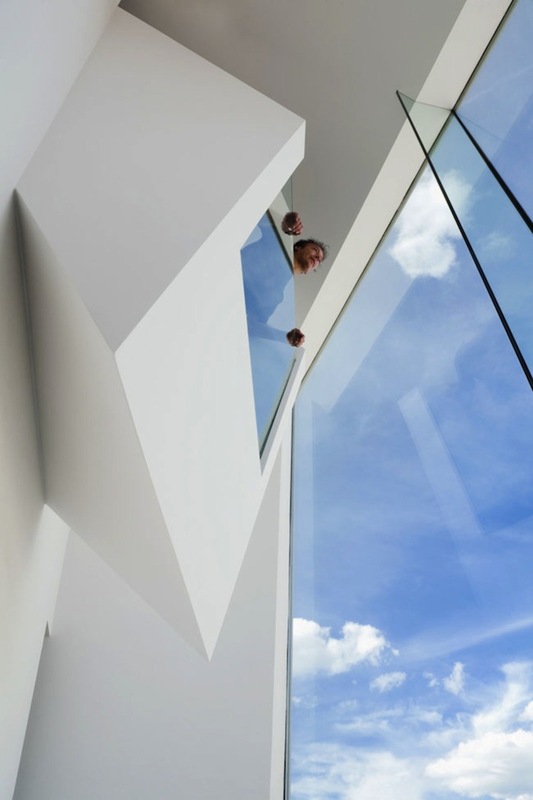 Inside, the 5.3 meter wide-building has several geometric windows and a jagged ceiling.